THE Champions Cup quarter-final against Leinster got a bigger billing but there is a case to be made that tonight's trip to Murrayfield is Ulster's season-defining game. Win and they qualify for the top tier of European rugby next season and retain their destiny in their quest to secure a home quarter-final in the Guinness PRO14 play-offs. With an already-qualified Leinster coming north on the final weekend, they will back themselves to do the needful. The problem they have is that things might be out of their hands if they can't get the result against Edinburgh who sit in fourth on the Conference B table but trail Ulster by three points and have a favourable points difference. 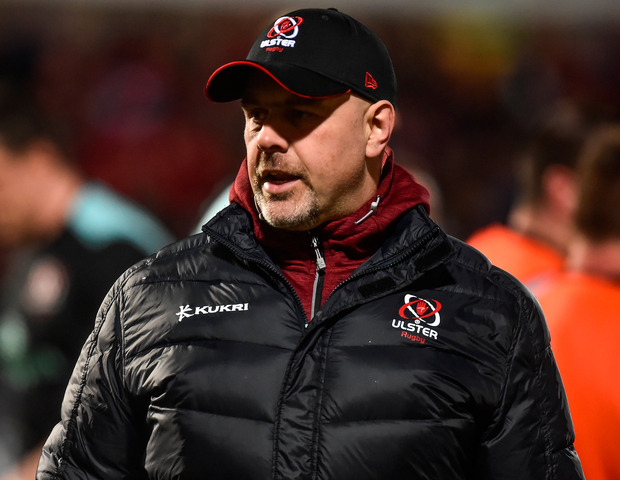 With third-placed Benetton ready to take advantage of any slip as they welcome an under-strength Munster to Treviso, Ulster could go in to the final weekend looking for favours from two teams with nothing to play for. So, the stakes are high and the team selections from Richard Cockerill and Dan McFarland reflect that. Iain Henderson captains the visiting side in Rory Best's absence, while Jacob Stockdale's outing at full-back will attract Joe Schmidt's attention. Best aside, McFarland names the same starting pack that went so close at the Aviva, while Luke Marshall and Rob Lyttle come in to the backline. Edinburgh, meanwhile, are close to full-strength and Munster can attest to how good the Scots can be. They reacted to their home European quarter-final loss to the Irish province by beating Scarlets away, while Ulster went down to Glasgow. McFarland admits his team paid a price for the emotional turmoil of the Aviva game, but he's hoping they'll be back up to their physical peak. "I thought we started well last week. I think we will have an improved performance this week, definitely," he said. EDINBURGH - D Graham; D Hoyland, M Bennett, M Scott, D van der Merwe; J van der Walt, H Pyrgos; P Schoeman, S McInally (capt), WP Nel; B Toolis, G Gilchrist; M Bradbury, H Watson, V Mata. Reps: R Ford, A Dell, S Berghan, C Hunter-Hill, J Barclay, C Shiel, S Hickey, G Taylor. ULSTER - J Stockdale; R Baloucoune, L Marshall, S McCloskey, R Lyttle; B Burns, J Cooney; E O'Sullivan, R Herring, M Moore; I Henderson (capt), K Treadwell; N Timoney, J Murphy, M Coetzee. Reps: J Andrew, A Warwick, R Kane, A O'Connor, S Reidy, D Shanahan, P Nelson, A Kernohan.